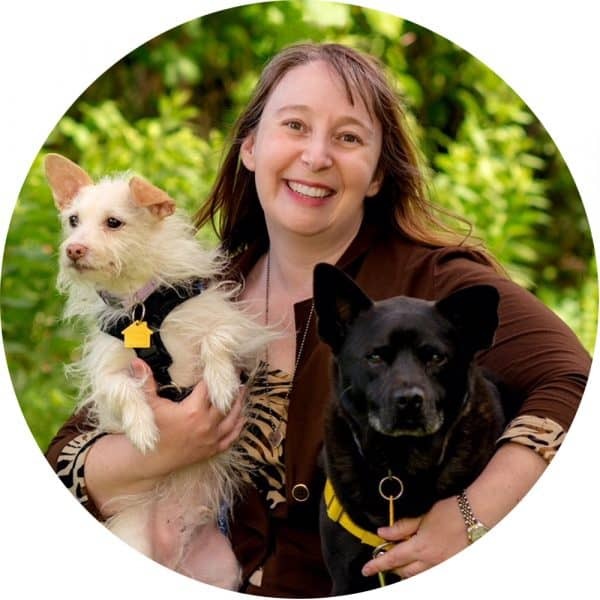 The Humane Hierarchy was developed by Dr. Susan Friedman, PhD, and adopted by the Certification Council of Professional Dog Trainers (CCPDT) as the preferred order of interventions. We use this framework in both obedience training and behavior modification. The aim is to ensure that we’re tending to all of the dog’s needs while using the least aversive methods possible. In this article I will walk through each stage of the Humane Hierarchy and explain what is expected. Please refer to the graph at the top for the topic of each stage. The first order of business when working with a dog is ensure they are healthy, well-nourished and free of injuries. If we see the dog is sick, injured, malnourished or dehydrated, we can’t begin training. We must get a vet involved to address those physical needs before we can focus on training. The word Antecedent means “a thing or event that existed before or logically precedes another”. In other words, the antecedent is the environment the dog is in. Our aim at step two is to arrange the environment to set the dog up for success. This might mean using tools such as baby gates, food puzzle toys or crates. 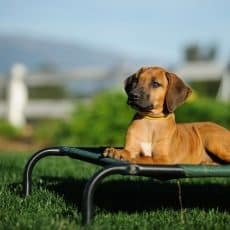 By arranging the environment in a way that prevents dogs from practicing an undesired behavior, we’re already halfway to changing it! Once the environment is arranged to prevent the undesired behavior, we can focus on reinforcing better behavior choices. We use Positive Reinforcement by adding things the dog wants as payment for doing desired behaviors. Reinforcers include food, toys, play, affection, access to furniture or places, and any other thing the dog may want at that moment. Each time the dog performs our desired behavior, we reward the dog. 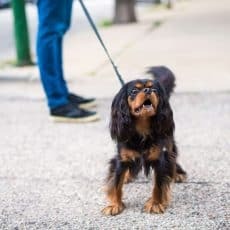 This process makes it more likely the dog will do our preferred behaviors again in the future. 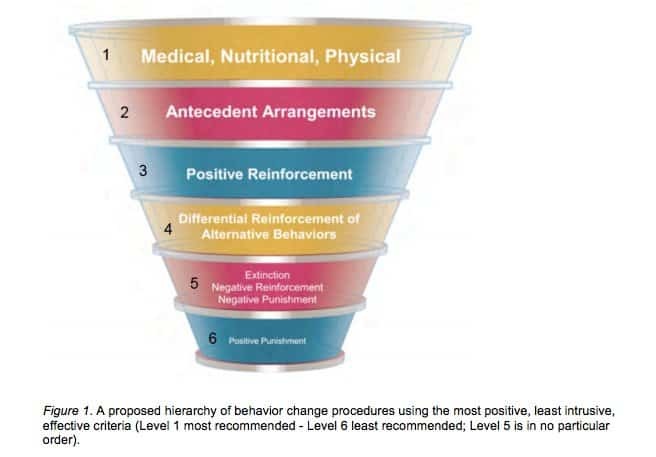 "Differential Reinforcement of Alternative Behaviors" is a bit of a mouthful, but it’s actually a pretty easy concept. It just means that we will reinforce behavior choices that are NOT the undesired behavior. For example, if our dog jumps, we will not reinforce jumping, but we will reinforce standing nicely, sitting, retrieving a toy, etc. Pretty much anything that is NOT jumping in a certain situation will get acknowledged as a good (or at least better) behavior choice. The options listed at this stage are not listed in a particular order. We will use them in the order that appears most appropriate for the situation. Negative Punishment (P-) is often used in conjunction with Positive Reinforcement. P- is when we remove something the dog wants in order to reduce or eliminate a behavior. In our jumping example, the dog is jumping up for attention. If we turn our back or leave the room, we are removing our attention with the aim of reducing jumping. We wouldn’t JUST remove attention for jumping, though. We would use step 4 to teach and reinforce an alternative to jumping. This way, we can remove our attention for jumping, but give attention for a trained alternative behavior option, thus increasing the better behavior choice. 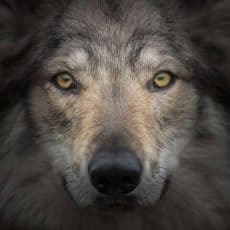 Extinction refers to the elimination of a behavior because it simply no longer successfully meets the dog’s needs. If jumping always results in lost attention, and NEVER results in increased attention, eventually the dog would stop jumping for attention. Dogs do what works. If it stops working, they’ll move on to other behaviors until they find a new option that does meet that need. Negative Reinforcement is the process of removing something unpleasant with the aim of increasing behavior. 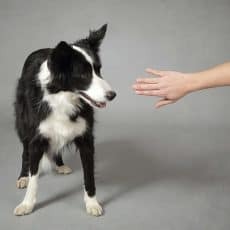 For our jumping dog, this might mean pinching the dog’s paws when he jumps and then releasing the pinch sensation when he chooses to sit instead. We try to avoid this option because it requires us to add something unpleasant in order to affect behavior change. Before we reach into this toolbox, we need to reassess. If we’ve worked all of the first 5 stages and still we’re not seeing successful behavior change, it’s time to reach out to a colleague to see if they have ideas we might not have tried. 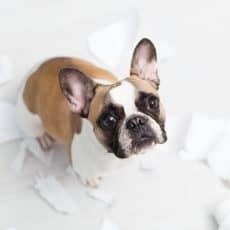 It often means referring to someone more experienced or even to a veterinary behaviorist if medication would be beneficial. If we’ve done all of these things and still have not successfully modified the behavior, then we can consider positive punishment. Positive Punishment is the addition of something unpleasant with the aim of reducing behavior. This might be adding an electric shock collar and each time the dog jumps, we trigger the collar to zap the dog on the neck. When introduced properly – at the correct intensity for the issue, but not so much intensity as to be traumatic, punishment can change behavior in as little as 1 or 2 exposures. But, there is a great risk of behavior fallout such as increased fear or increased aggression. Because of that risk, we work hard to avoid stepping into stage 6 unless literally every other option has failed. Trainers committed to cooperative, bond-building training methods hold to this hierarchy with all dogs and for all behavior issues. 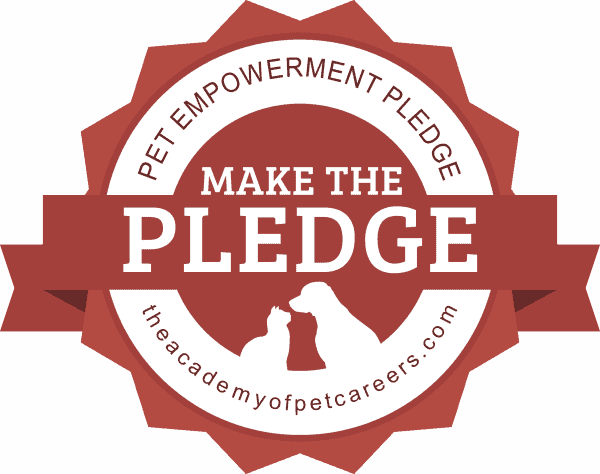 We hope that pet owners will also approach manners and behavior issues with these stages in mind.